Possibilities of aesthetic medicine and plastic surgery are truly multi-faceted. Professional beauty clinics offer their clients the wide range of services related to the skin rejuvenation and improvement of the visual characteristics of the face and body. Now every woman can feel like a young and attractive, referring to the «right» expert. And it is guaranteed to get the result, regardless of its current age and the type of imperfections. Skin rejuvenation by the modern methods is not limited to full-fledged skin rejuvenation surgery. Therefore, those who are afraid of traditional invasive surgeries, or is it specific to the medical condition, may turn to alternative therapeutic options, hardware, and laser cosmetology. Age-related changes of the skin and soft tissues are inevitable. They enter into «legitimate rights» of about 25-30 years and are constantly progressing. 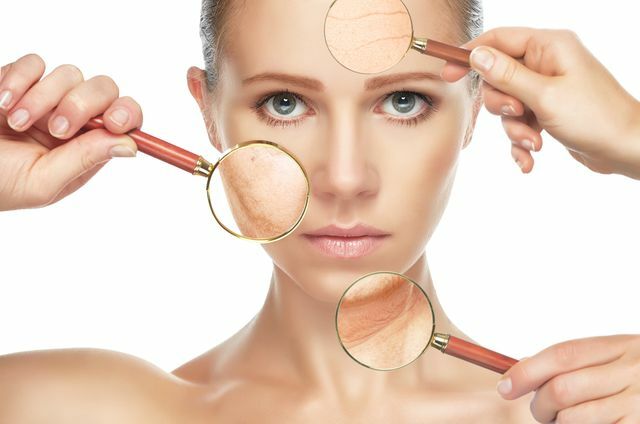 Biological aging is largely due to the suppression of the synthesis of hyaluronic acid and fibroblasts. The first ingredient is a natural non-sulfonated saccharide, being constantly in the intercellular space of our skin. His mission — to bind a molecule of moisture in the dermis and optimize cellular proliferation. Fibroblasts, in turn, produce «youth proteins» — collagen and elastin. They form a specific frame, causing the tissue to counteract the force of gravity. Once these resources are exhausted, and their development is slowed down, the skin begins to be subjected to gravitational ptosis, it becomes flabby, listless and loose. Feeling the need to prevent or halt the aging process, refer to the beautician for the selection of individual schemes skin rejuvenation. Radiesse — injection procedure using the special filter based on calcium hydroxyapatite, which provides instant non-surgical tissue tightening. These procedures are the most popular in its segment. It prefers the most «natural» result. Prices of services depend on the amount of work and material consumption waits specialist. The final cost of the procedure is calculated and is announced on internal consultation. Many cosmetologists are with experience developing their own methods of facial skin rejuvenation and body. As minimally invasive procedures are powerless? Alas, there are times when cosmetic techniques are impractical and ineffective. This is due to severe signs of aging — gravitational ptosis grade 3-4, sharp furrows, folds and wrinkles, drooping complex. In this situation, will the endoscopic, or the most radical SMAS-lifting. Appeal to the competent specialist — a pledge of safety and excellent results. We encourage you to consider the choice of aesthetic surgery very responsibly and carefully.